The gap overlooking the ocean at "Suicide Cliffs" in Dongyin on the Matsu Islands in Taiwan. Legend has it that a woman cornered by unsavory men decided to end her own life by jumping to her rocky grave below rather than have her honor violated. 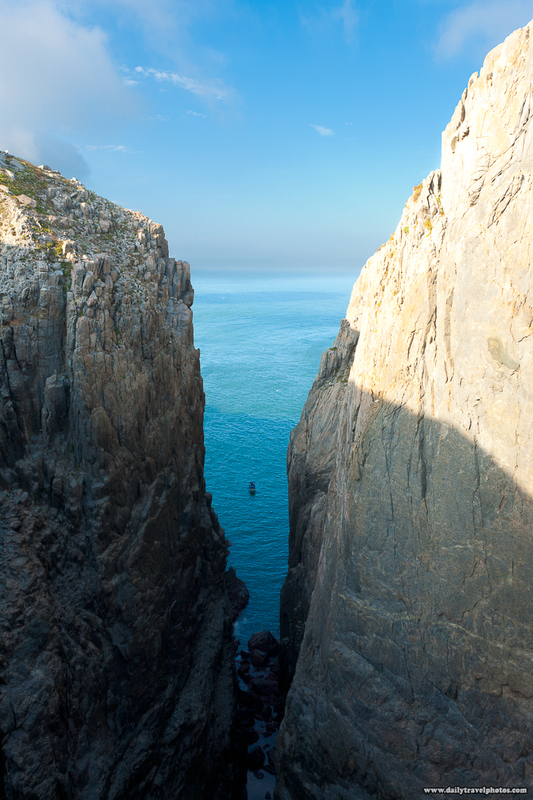 Hence the rather melancholy name of "Suicide Cliffs" at an incredibly stunning natural setting on the beautiful island of Dongyin, part of the island chain near mainland China belonging to Taiwan. 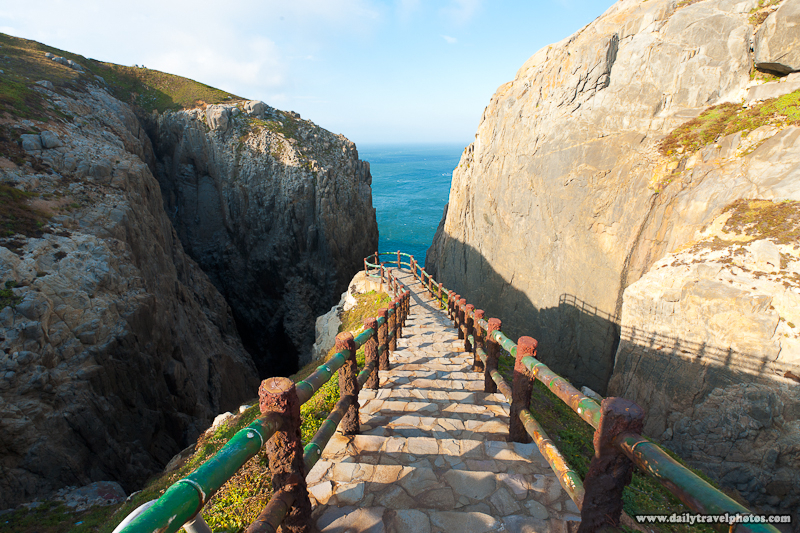 The walkway down to the precariously perched viewing platform at "Suicide Cliffs" on the island of Dongyin on the Matsu Island chain.